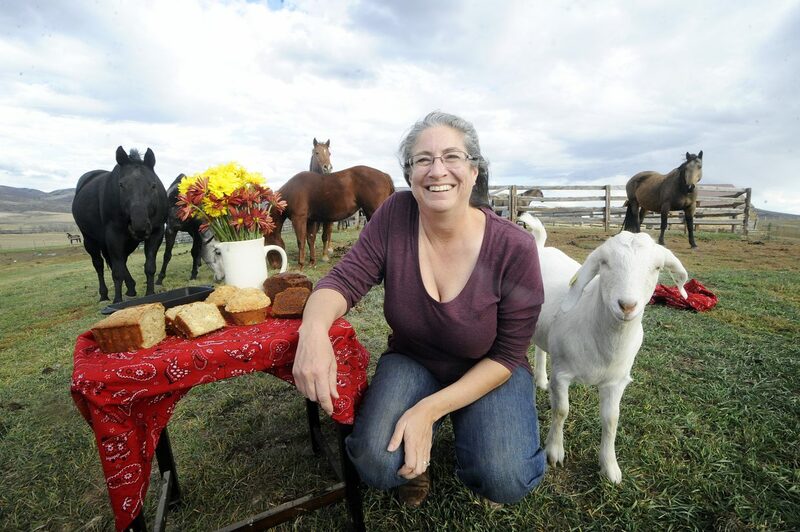 Lisa Larkin, surrounded by her horses and a goat on her ranch north of Steamboat Springs, poses next to a table of her chocolate chip pumpkin bread, blueberry streusel muffins and zucchini pineapple bread. Larkin runs Buckin' Horse Pantry from her ranch and has sold her breads and sweets on the Community Agriculture Alliance's online ag marketplace. Steamboat Springs — Routt County’s newest farm-to-table marketplace is no bigger than the refrigerator in your home. But the Community Agriculture Alliance Marketplace is taking hold as a streamlined way for local food producers to connect with and grow a customer base along with the produce in their gardens. “We’re connecting producers and consumers — those words are part of our mission statement, and this is a great way to meet that objective,” Michele Meyer said. She is the local food products and fundraising coordinator for the Community Agriculture Alliance. Think of it as a wireless connection. The Ag Alliance has picked up where a group of committed volunteers with the Yampa Valley Co-op left off, this time with a Web-based ordering and delivery solution, Meyer said. It may not offer the social interaction of a traditional farmers market, but it does allow food producers and customers to conduct transactions with a low threshold for participation. The link to the new CAA Marketplace, launched in September, is near the top left of the homepage at http://www.communityagalliance.org, allowing sellers and buyers to register and do business remotely. Offered this week are pork breakfast sausage from Yampa Valley Farms, garlic parmesan bread from Kate’s Cafe in Yampa, sweet potato hummus from Kenchuto Bliss in Steamboat and many more healthy products. Producers include bakers, herb growers, soap makers, coffee roasters, produce farmers and beef producers. “We’d like to see more producers producing more products for more consumers,” Meyer said. Customers write their checks to the Ag Alliance when they pick up the food. Prices reflect a 10 percent premium above the producers’ own prices to defray the costs of hosting the marketplace. The Ag Alliance in turn cuts monthly checks to the producers. The weekly ordering cycle begins with producers posting their offerings Monday morning and buyers placing orders for meats, fresh eggs (in season), produce and prepared goods like barbecue sauce, beginning Monday afternoon and continuing through noon Thursday. Producers are committed to delivering their ordered goods by noon Friday to a side-by-side refrigerator/freezer located to the rear of the Ag Alliance offices in Steamboat’s Sequoia Building at the corner of Ninth and Oak streets in Steamboat Springs. Customers, in turn, are expected to pick up their goods (labeled with their names) and drop off a check for the appropriate amount. 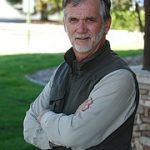 Meyer acknowledges that this form of putting locally produced food into the mouths of area residents lacks the social benefits of people meeting and talking about the food and how it was produced. But the new system, which relies on software tested in more than 20 communities, is proving to be effective for busy people on both sides of the transaction. Meyer, who lives in the country west of Steamboat Springs, describes herself as an accidental farmer. “I had no intention a year ago, even, of selling anything, but I have a gardening addiction,” Meyer said. Now she offers green beans, peas, kale, spinach, lettuce and herbs in season. This week, she has a limited selection of pumpkins, including some with dramatic green coloring. From week to week, customers are never certain what they’ll find for sale on the CAA Marketplace, and Meyer hopes the variety keeps them coming back for more.